Ghanaian Satirist, Kwaku Sintim-Misa is set to introduce an electronic court drama series dubbed ‘Odo Wahala’ next month. The series which will be a blend of both English and Twi languages will target the issue of conflicts in relationships and its themes will be spiced up with humor to make it easier to understand and relate to. Knowing perfectly well how the Odo Wahala series is different from the everyday Ghanaian television series on TV, KSM’s upcoming series is described by him as something which is taking the Ghana justice system to the digital front. “The uniqueness of ‘Odo Wahala’ is that neither the defendant nor the plaintiff is required to be physically present in the courtroom. This is fully electronic platform where the judge sits in the studio/courtroom and connects with the defendants and plaintiff who are in different location via various digital platforms including mobile phones and Skype. In effect, the justice system has gone digital in Ghana,” KSM disclosed. With 70 episodes of the drama series shot already,y KSM added that he is open to welcome new suggestions for the series. 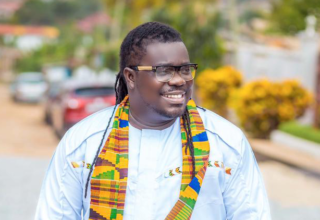 Accepted by Ghanaians as a legend in comedy and very popular KSM disclosed in an interview with Daily Graphic, that he wanted to give new faces the opportunity to shine and that’s the reason why he didn’t play the judge role himself. “I think my face is all over the place and the lady who took the position of the judge executed the role well,” said KSM. The courtroom will be presided over by Yaa Anima Misa Gyampo as judge. 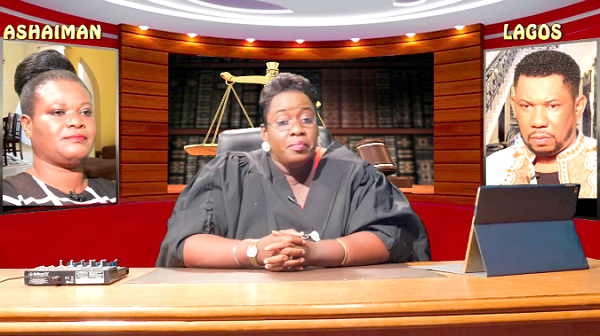 Her control over the courtroom, driven by no-nonsense technologies to reach to her clients, distinguishes the series from all other court drama series currently running on TV. The television series is produced by Sapphire, however, the media station, which will air the television series together with its premier date is yet to be confirmed.